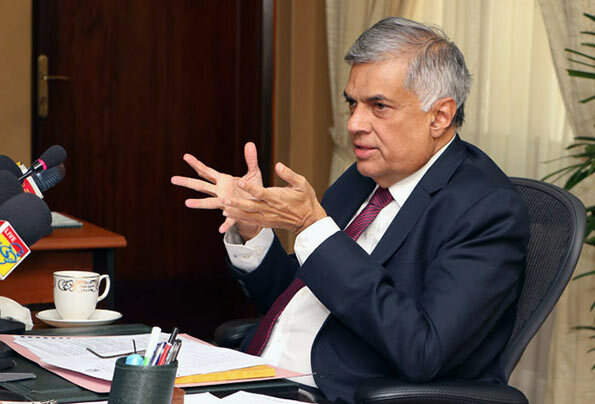 Sri Lanka’s Prime Minister Ranil Wickremesinghe has appointed a task force to study the possibility of granting visa-free entry to visitors from certain tourist friendly nations in order to boost arrivals, authorities said on Monday. Tourism Minister John Amaratunga said that some of the countries under consideration are India, China along with some other European and West Asian nations, reports Xinhua news agency. Amaratunga said this proposal was aimed at encouraging more people to visit Sri Lanka and avoid “chaos” at the immigration. Following recommendations from the task force, this proposal may be implemented in the off-season months of October to November and March to April, the minister said. He further said the Sri Lanka Tourism Promotion Bureau (SLTPB) was currently working on this plan. Additionally, the Minister said the government was also in discussion with airlines, tour operators and hotels to provide low-cost packages. “These efforts are underway to ensure Sri Lanka becomes a destination that would be a visited location throughout the year,” Amaratunga said. Sri Lanka’s tourism industry, which was once heavily scarred by a 30-year civil conflict, has become one of the leading industries of the country. Tourist arrivals have recorded a growth of 15.3 per cent during the first half of 2018 compared with the same period last year. After failing to attract tourist after a meaning less expensive advertising campaign now he is suggesting a new plan just to boost up the deteriorating economy of Sri Lanka. As you can see only few tourist visit Sri Lanka even the government keep saying the tourism is increasing in Sri Lanka. Sri Lanka is the only country in the world charge a extra levy (tax) for hotels and tourist attraction just because you are a tourist. When Thailand is around the corner with low air fares, free visas and better infrastructure for tourist who wants to visit Sri Lanka. Who rate those Tourist Free Nations? What is the Criteria for selection? How you rate USA, Pakistan? India? Russia? Or even Brazil? This guy say anything that comes to head without giving a second thought. Some times I wonder how people can be so stupid.